Irelia’s kit was absolutely gutted on the PBE. “Better nerf Irelia” is one of the longest-standing and more recognizable League of Legends memes the game has to offer, and yesterday, Riot may have taken those words a little too close to heart. The PBE was updated yesterday, as it is often in between patches, and one of the new changes introduced was a list of nerfs for Irelia. Normally, balance changes aren’t that exciting, leaving us to simply speculate on how the bigger ones will affect the meta, but there’s little to speculate on this time. The nerfs that hit Irelia are big, and they’re the most significant single-champion nerfs that have been introduced on the PBE in a long time. They’re so extreme, in fact, that we’re not confident that they’ll even go live without some further tweaking. The changes introduced in the test server aren’t just balance changes, they completely remove entire features of her kit. The first one removes her passive’s bonus damage to shields, meaning there are now no champions in the game that directly counter shields. The second big nerf removes her Q’s double damage to minions and replaces it instead with a small amount of flat bonus damage. And the final nerf removes her ultimate’s ability to disarm enemies completely. Now it just deals damage and slows. Typically, when nerfs as large as these are pushed, a small buff or stat tweak will surface elsewhere in the kit to compensate and to keep the balance pendulum from swinging too hard in one direction. Irelia is getting a buff, but only a damage buff to her ultimate to compensate for the removal of the disarm. Everything else is just getting hit hard with the nerf bat and staying down. So what does this mean for Irelia? Well, clearly Riot believes she’s wildly over-powered, otherwise such a dramatic list of nerfs wouldn’t be smacking her in the face right now. This is particularly curious, because she might have a high playrate, but her winrates in the top and middle lanes are some of the lowest in the game, according to League stats site OP.gg. 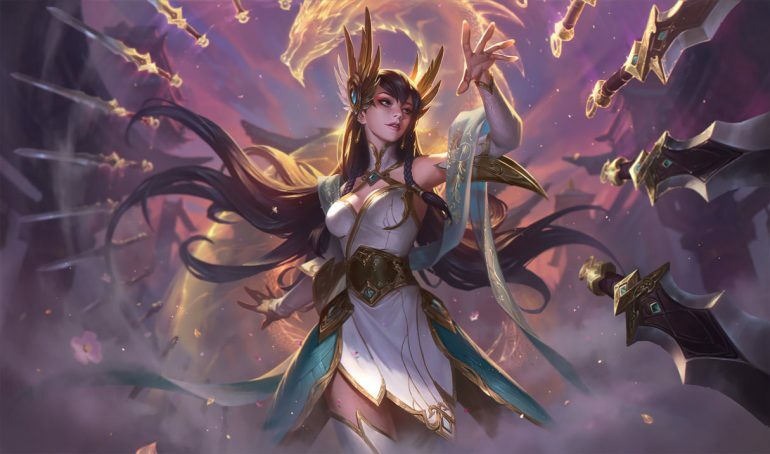 Even if Riot wants to use her popularity as reasoning alone for these incredibly heavy-handed changes, it still seems like there are other champions that could have used nerfs with much higher priority than Irelia. Take Aatrox, for instance, who has one of the largest combined winrates and playrates in the game in both top and middle. No matter the explanation, one thing is certain. If these changes go live, Irelia will be much, much weaker—for better or for worse.